In 2018, NASA will launch into orbit a small satellite designed and built by a team of Brown undergraduates over the past six years. PROVIDENCE, R.I. [Brown University] — After a six-year journey to prepare for a space adventure, a team of Brown students is now just one year away from seeing an out-of-this-world dream become a reality. Since 2011, the student-led Brown Space Engineering group has been busy designing, building and testing a small satellite — a CubeSat — they hoped to someday put into orbit. In 2014, NASA agreed to provide space on a rocket for the 4-inch cube, and now the team has been given its launch window. In the second quarter of 2018, the Brown satellite, dubbed EQUiSat, will fly aboard a resupply mission bound for the International Space Station, where ISS astronauts will deploy it into orbit 250 miles above the Earth. The satellite’s mission is largely educational, says Hunter M. Ray, a junior engineering student and EQUiSat project manager. The idea is for EQUiSat to be a visible ambassador for space and space technology, showing people that the final frontier is within their reach. High-powered LED beacons will flash brightly enough to be seen with the naked eye from the ground as the satellite streaks across the night sky. A transmitter will relay telemetry and other data on amateur radio frequencies. And opportunities to see and hear EQUiSat will be combined with public outreach programs including space science curriculum modules for elementary, middle and high school students. A rendering of EQUiSat in its final form. The launch is part of NASA’s CubeSat Launch Initiative, which aims to give universities, nonprofits and other organizations an affordable pathway to space. The program also offers young engineers and developers a chance to get hands-on experience with space technology. The EQUiSat team was formed in 2011 by a handful of students taking an aerospace engineering class taught by Rick Fleeter, an adjunct professor of engineering who founded a private satellite company before coming to Brown. The team’s ranks have since swelled to over 40 members. 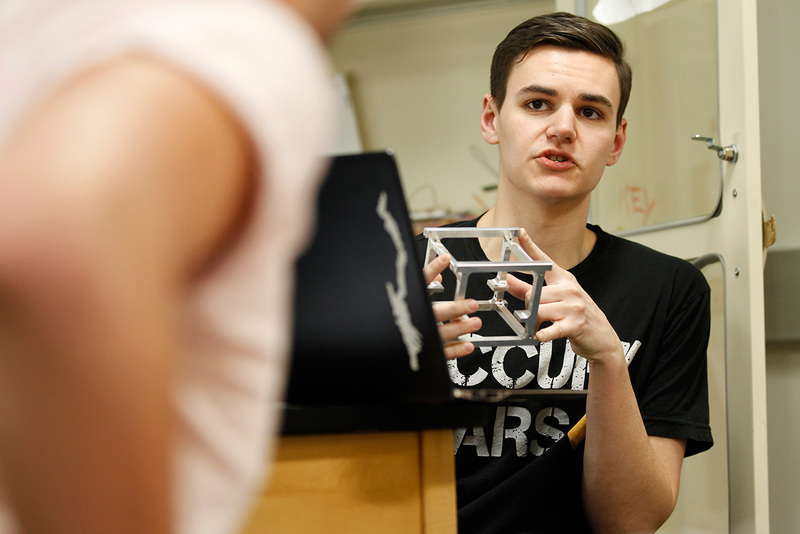 Many are engineering concentrators, but the group also includes students from physics, computer science and environmental science, as well as industrial design students from RISD and a high school student from the Met High School in Providence. Last year, the group changed its name from the Brown CubeSat team to Brown Space Engineering in the hope of expanding its focus and drawing more students. While Fleeter continues to oversee the group, the project is fully owned by the students. Ray, who had long been interested in aerospace technology, joined the team as a first-year student and started working on the solar array. He said he was drawn to the idea of working on something that would eventually go to space, but he admits to being a little overwhelmed by the complexity of the project. To keep the project on track, the team has had to deal with the inevitable departure of students when they graduate. It’s a challenge, but one they’ve been able to handle pretty well so far, says Ryan Izant, a senior who is the electronics lead for the project. When he started, Izant says he had a weekly phone call with is predecessor on the project to help get him up to speed. 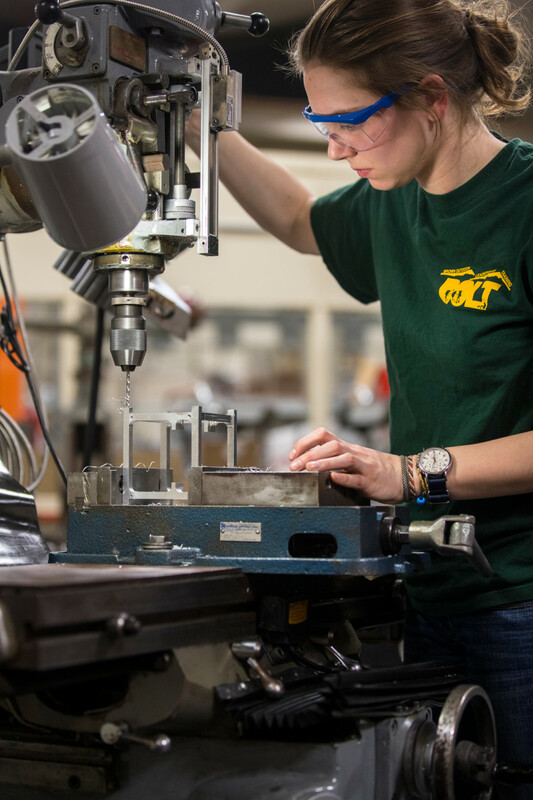 The Brown School of Engineering, NASA Rhode Island Space Grant and a host of private sponsors have provided funding for raw materials, equipment and travel. The EQUiSat team has plenty of ground to cover over the next few months. They’ll be tweaking the design of the satellite’s major systems and carefully assembling the final product. They’ll also undertake a series of NASA-mandated tests to make sure EQUiSat can survive a trip into orbit and function properly in the vacuum of space. EQUiSat’s LED beacons are its principal payload. Making them visible from Earth (they’ll be as bright as the North star) requires quite a bit of electrical current — more current than traditional lithium ion batteries could supply. So the team has turned to a newer battery technology. There’s a catch, however. This will be the first time anyone has flown these batteries in space. So the team will have to do extensive safety and reliability tests before launch. Once in orbit, NASA will likely be quite interested in how the batteries perform, Ray says, as the agency investigates this battery type for use in future space suits and rovers. Another of the team’s priorities is to demonstrate that building an operational satellite need not be egregiously expensive. Despite their diminutive size, CubeSats can come with hefty price tags. Nearly all the components necessary to build one can be purchased off the shelf, but going that route can cost anywhere from $30,000 to upwards of $100,000. The EQUiSat team wanted to see if they could develop their own custom-made parts for a lot less money. The team milled the satellite’s aluminum chassis themselves. To charge their experimental batteries, they built their own solar array using scrap pieces of gallium arsenide cells, carefully arranged to maximize their ability to gather light. The resulting arrays provide plenty of power, but cost 35 times less than an off-the-shelf solar panel. All told, the team says EQUiSat could be reproduced for as little as $5,000, helping to demonstrate the increasing affordability of space technology. Over the next few months, EQUiSat will undergo a series of critical tests to make sure it’s mission-ready. Vibration tests will confirm that a rocket ride won’t shake the satellite’s vital components to pieces. After that comes a series of thermal tests. When exposed to direct sunlight in the vacuum of space, EQUiSat will see temperatures as high as 250 degrees Fahrenheit. Out of the sun, it will be negative 250. The team will need to make sure all systems are able to function in these extremes. 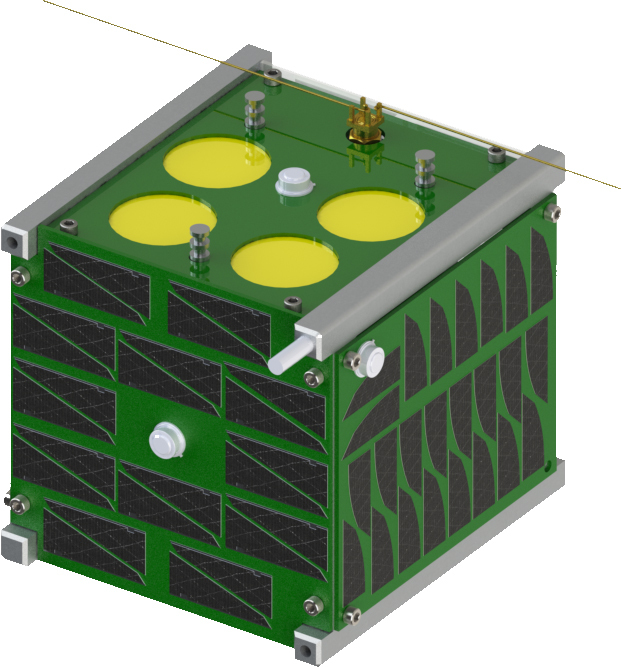 If all systems are go, EQUiSat will be packed in pods with other CubeSats, loaded aboard a rocket operated by SpaceX or another of NASA’s contractors, and flown to the International Space Station. ISS astronauts will load the satellites onto the station’s robotic, and a spring-loaded ejection system will scatter the collection of cubes into space. The first order of business after deployment will be getting the satellite in the proper orientation relative to Earth. In order for the beacons to be seen, they’ll need to be pointed downward. Two pairs of perpendicular magnets called hysteresis rods will help dampen any spinning that might be generated by the deployment process. Another magnet will then align the craft with Earth’s magnetic field, keeping the beacons pointed in the right direction. Once the craft is properly oriented, it will be ready to start flashing its beacons. They’re programmed to flash three times in quick succession every minute when the satellite is in the dark. People on the ground will have between nine and 18 sighting opportunities during a nighttime pass. People will be able to track viewing opportunities online, while amateur radio operators will be able receive detailed telemetry and status information. As the launch window draws near and the goal of putting a satellite in space get closer to reality, Ray says he thinks a lot about the magnitude of what the team has accomplished.